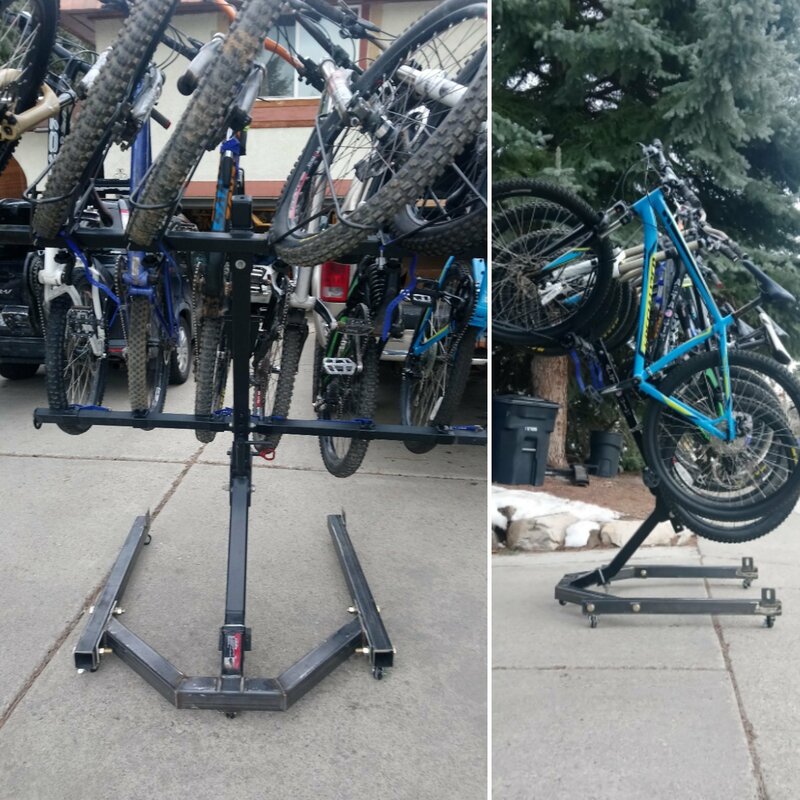 GPR stand stows the rack with all your bikes with the same care as on your vehicle. Mobility where you want it and locking caster providing security for added peace of mind. Solid structure, will not tip flex, or fall. Stand is solid with a great finish. Unique solution for garage storage. 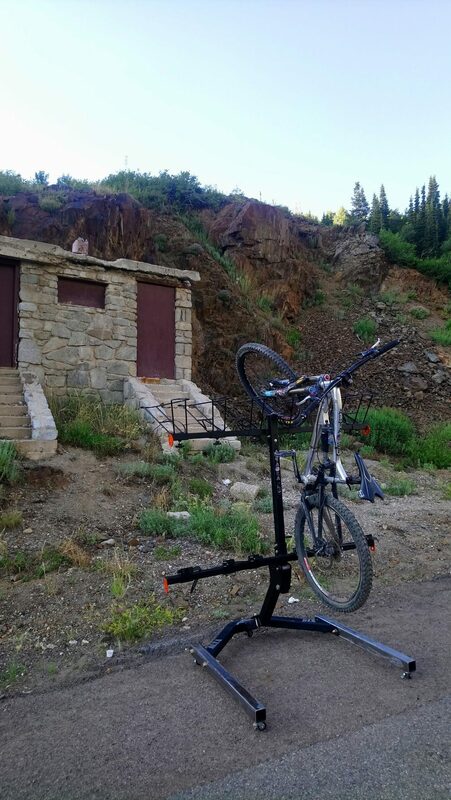 Once I had it in the garage, I did realize that it isn’t practical for in-season storage because if the rack is fully loaded, you have to unload the rack in the reverse order of loading; so if the bike you want to use was loaded first, you have to unload all of the other bikes to access it. Great point Chad, A lot of shops use the floor stand as a display unit and they loosen their stem and turn the wheel parallel to the bike. That would allow removing bikes and not having to follow the order. Hope this helps.